Today’s review is of TreasureTrooper, a Get Paid To site that rewards you for completing offers and tasks, like playing games and taking surveys. We talk about GPT sites a lot here at MoneyPantry. Get Paid To sites make it so easy to earn some extra cash from the comfort of your own home or on your phone on-the-go. One of the best out there is TreasureTrooper. It’s a fun website that allows you to complete easy tasks, and in return, you get paid. And, not just in points either. If you’re looking for an opportunity to make money easily, then it could be the site for you. Below, we offer a full TreasureTrooper review. 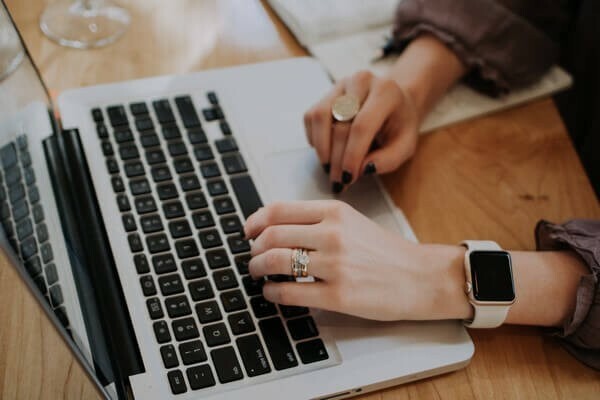 Here’s everything you need to know about the website, from how it works, to tips on how to make the most money with it. In return for completing these tasks, you earn a certain amount of money. This sets it apart from other rewards sites like Swagbucks and Perk which allow you to earn points. This is convenient, as you can easily see how much you’ve earned. There are a few tasks that do you reward you with points. With some of the offers, for example, you might earn Platinum Coins or Dragon Scales. You can redeem these for things like free gift cards and electronics, but more on that later. According to the company, their members have earned $7,493,666 so far! Now, you know what it is, you’re probably wondering how it works. It’s super easy to sign up for TreasureTrooper. While the TT website isn’t super modern in terms of design, it is super easy to navigate. And, what’s great about the site is that you’ll get $1 just for joining. Step One: Visit the homepage. On the left side of the screen, you’ll see a sign up box. Step Two: Enter your name and email address. Step Three: You’ll be taken to a new page where you have to enter details, like your name and address. The website needs your address so that it can send payment to you. Step Four: Make sure that you check your email for a confirmation link. Click the link to confirm your account. That’s all you need to do and you’ll be able to start earning with TT. The site offers you a lot of different ways to earn money. What’s great about TT is that it guides you through earning. You’ll see a pop-up when you first sign in, which says it will guide you through the website. You can choose to disable this guide if you want to or use it to explore the site. And, aside from being useful, another benefit to this guide is that you’ll earn a $1 just for listening to it. On the site, you can earn money in a lot of different ways. We discuss what these are and how to use them in more detail below. You can earn money for completing offers on TT. Some offers also pay you with Platinum Coins or Dragon Scales, rather than cash. There are lots of offers available – and how much you’ll earn for each one varies. At the time of writing, offers available paid from $0.50 to $3.50 each. Hot Offers: According to TT, “These are some of the best-approving offers right now!” The site actually recommends these. Recent Approvals: You’ll see these in the navigation bar on the left side of the screen. According to TT, “These offers were just approved for other members like you. This means that you will likely have similar success if you give them a shot!” This is another category that the site recommends you check out. What’s great about these offers is that they’re pretty easy to do. OKC Fast Food Study: “Complete the entire survey. Open to users living in Oklahoma City that have visited at least one fast food restaurant in the past month.” – $1.00. As you can see there’s a huge range of offers available. 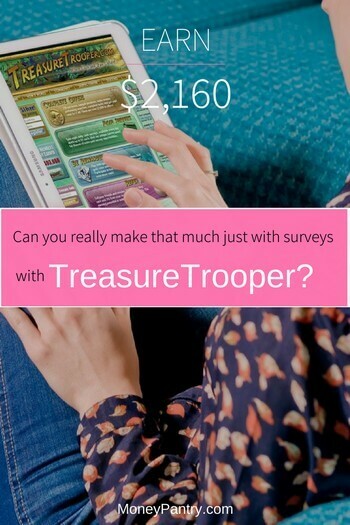 Next on the list of ways to make money with TreasureTrooper is Cash Surveys. While TT is not an exclusive online survey site, it does have paid survey from time to time. There are a few different types of surveys you can take. Daily Surveys: Each day, there are eight surveys available. If you take all eight surveys, then you’ll earn $6.00 each day. Plus, you’ll also earn extra Dragon Scales. Study Storm: This has over 1,000 studies available, and there’s no limit on how many surveys you can take in a day. Survey Seeker: This is TT’s private survey panel. It includes multiple surveys, which you can complete for a variety of cash rewards. Another way to earn money with TT is to complete Cash Calls. A Cash Call involves calling advertisers, asking them questions and listening to what they have to say for a few minutes. At the time of writing, there were three opportunities available, one of which pays $0.50, and the other two pay $1.50 each. In this section, you’ll find money-saving offers. 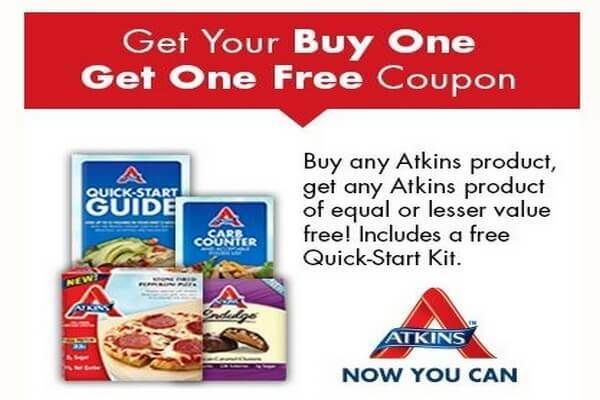 Just sign up for the free offers you want. You’ll find a special reward at the end. Yes, you can actually get paid for watching videos. Earn arrowheads when you watch videos. Also, there’s a team reward offered. Just watch as many videos as you can, and you’ll fill up the thermometer icon on the page. Then, when the thermometer is full, everyone who contributed at least 10 video completions will get 1 Pearl. The top five contributors will also get 1 Gold Coin and 1 Dragon Scale. TT will pay you to search the web using its search platform. Each search moves you toward earning a free dragon egg. You have three eligible searches a day, and 100 searches will get you the free Dragon’s Egg. Also, if you search regularly, you’ll uncover free Arrowheads. There’s also a Team Effort reward available. Just complete as many Cash Searches as you can, and you’ll fill the thermometer icon on the page. Then, when the thermometer is full, everyone who contributed 10 searches gets 1 free Pearl and 1 free Dragon Scale. With TreasureTrooper, you can also earn cashback on your purchases – this is great if you love shopping online. Each time you shop, you’ll get a rebate from TT. Every store has its own cashback rate. What’s good about cashback shopping here is that for every $5 you get, you earn 1 Platinum Coin. To get cashback, you just need to click on the shop that you’re interested in on the TT website. Then, you’ll be taken to the store’s website where you can shop as you normally would. When you purchase something, you’ll get a percentage of your spending back. You can also share your shopping links with friends and family, and you’ll get the cashback for anything that they purchase. If the store you’re interested in isn’t on the TT list, then you can open a ticket and let the site know that you would like to shop at that store. Okay, so we’ve covered the ways that you can earn money with TT, and what other rewards are available too. But, Cash Offers, Cash Surveys and the other tasks we mentioned above aren’t the only way to earn rewards through TT. As we mentioned TT offers you a huge variety of tasks to earn with. Below, we outline a few more ways you can earn virtual currencies, like Platinum Coins, and Pearls, and actual cash. Cryptic Treasure: Sometimes, you can get codes through the site’s newsletter, forum, chat room and social media platforms, such as Facebook and Twitter. You can visit the Cryptic Treasure section of the website, enter your code into the box on the homepage, and your account will be credited with coins, pearls or cash. Jungle Slots: This is a slot game that allows you to earn cash, Platinum Coins, Gold Coins, Pearls, Dragon Scales and Arrowheads. Each pull costs 1 gold coin. Contests: TT often holds contests. At the time of writing, for each $1, 1 Platinum Coin, or 100 arrowheads you earn through Cash Offers, Cash Surveys, Cash Calls, Cash Search, Platinum Rewards, and Arrowhead Dig site, you’ll get 1 raffle entry. Once there are 50 raffle entries claimed, a winner will be chosen and can claim a $10 prize. Chat room bingo: The company hosts a bingo night in its chatroom every Tuesday. You can play for dragon scale prizes. To enter, you have to buy your Bingo Tickets. They cost one Dragon Scale each. What kind of Rewards Do I Earn? Okay, so now you know what TT is and what tasks you can complete, you’re probably wondering what you can earn. Well, for most of the tasks, as we mentioned above, you will earn money. Tasks can pay anywhere from $0.50 to $50. You can also earn other rewards. For any task that you complete that gives you cash, you’ll also receive Gold Coins. Offers that pay less than $3 will give you 1 Gold Coin. For offers that pay $3 to $8, you’ll earn 2 Gold Coins. Offers that pay $15 to $20 will give you 4 Gold Coins. And, offers that pay more than $20 will get you 5 Gold Coins. These are pretty interesting and one of the elements that makes TT one of the most fun rewards websites out there. You can use your Dragon Scales to purchase Dragon Eggs in Cogg’s Coop. You can then develop the egg into an adult dragon. Then, you can either breed or sell your dragons back to Professor Cogg for cash. According to the website, there’s a rare dragon that exists, which could net you $100. Completing cash offers that pay you with scales, rather than cash. Participating in discussions on the TT Chat Room. Playing the Jungle Slots game. For some tasks, such as Cash Offers, instead of cash, you will earn Platinum Coins. You can redeem these coins in Mabutu’s Trading Hut for gift cards or electronics. At the time of writing, there’s a gift card available to use at a variety of restaurants. There’s also a Platinum Rewards section you can check out to find opportunities to earn Platinum Coins. Arrowheads can be earned on a variety of tasks, such as watching videos, with Cash Path, and Cash search. Also, you can earn them in the site’s Dig Site section – This is where you can “Dig” through offers and complete them for Arrowheads. You can exchange them for either Dragon Scales or Platinum Coins using the TT Currency Converter tool. Finally, another virtual currency you can earn is Pearls. You can earn Pearls in a few ways. For example, you can convert your coins for them in the Trading Hut or earn them through Cryptic Treasure Codes. You can view your earnings and withdraw them when you reach $20.00. Just click on the “My Treasure” link on the left side of the screen. You can request an Instant Payment and get your money via PayPal. Or, you can wait to be paid automatically – payment is sent on the 15-20th of each month for your previous month’s earnings. How much you’ll earn on TT varies depending on factors, like how many tasks you complete, and which tasks you complete. For example, according to the company, if you complete all eight surveys each day, then you can add around $180 to your paycheck each month. This means in a year, you’d earn $2,160 just by completing surveys! That’s a really great earning opportunity. While I haven’t personally done this, I have read comments by other users on Reddit and other online forums claiming they have made over $2000 a year with TT. Of course, you might not qualify for all eight surveys, so you might not make as much as that. But, as you can see above, surveys aren’t the only way you can earn. The Payment Proof section of the site is very popular and a good place to look, as it shows you that people are making a decent amount of money through the website. User Jan was paid $59.25 in May 2018. User Kristen was paid $55.28 in May 2018. User Skittles88 earned $41.09 in February 2016. You can view more about earnings on TreasureTrooper here. Now, there are a few things you can do to increase how much money you can make. No there aren’t any hacks or cheats, but with some simple planning and working smartly you can make enough money to pay some of your bills. Read our detailed review of Swagbucks to find out examples of things you can do on rewards sites, in general, to make more money, as well as how you can earn $758.25 with Swagbucks. You might be wondering whether TT is legitimate or a scam. After all, the site is offering you money for completing pretty easy tasks. All you need to do is look through the site’s forums and testimonials to see that it is a legitimate platform that people have made money with. The website even has what it calls a “Skeptic Center” that includes links to payment proof. Take a look at the Skeptic Center page to view TreasureTrooper payment proof. As you can see on that page, people have made money with the website. What’s great about the site is that Treasure Trooper minimum payout threshold isn’t too high – just $20. And, you can request your money at any time. There are two main things that set TT apart from other get paid to websites like CashCrate. 1. The amount of earning opportunities is huge! One of the best aspects of the website is that there are so many ways to earn. There are eight ways to earn cash and a huge range of other tasks available. So, if you find that you’ve completed all of the offers in the Cash Offers section, then you can simply complete tasks in another section. Sure, Perk has a ton of different earning opportunities too – but you have to download tons of different apps. With TT, everything is in one place. What’s great about TT is that it makes the process of earning money fun. It turns the whole process into a game. There are chat room games, contests, and the fun Indiana Jones-style makes it one of the more enjoyable GPT to sites out there. Making it easy to earn real money online, TT is a site to check out – especially if you’re looking for an alternative to points-based rewards programs. To end this review, I’d say join TreasureTrooper and see how much you earn. Love treasuretrooper. Thanks for sharing. Got my first payout after doing surveys and winning in a contest last month. Great for extra fun spending money or enough to pay a bill or two a month. Thank for your feedback, Gary. Glad to hear you’re making some extra cash!